On this website you will find a lot of new information about the Netherlands, but these typical Dutch phenomena may already ring a bell because they are often used in stereotypes. First of all, the Dutch can’t live without water. Not just to hydrate, like all humans, but geographically. Netherlands means ‘low countries’, so not surprisingly most of the land is beneath sea level, resulting in the close relationship with water its people have always had. In a positive manner, by using it to expand trade routes, but, negatively by the continuous struggle against floods. There’s a popular saying: God created the earth, but the Dutch created the Netherlands. This refers to the many dykes and polders (low lying lands that have been pumped dry). The most striking example is the Zuiderzee Works, which turned the inland bay of the North Sea into a lake and created the world’s largest artificial island. Though some people may dislike a temperature below zero degrees during the winter season, Dutch students love it!’. 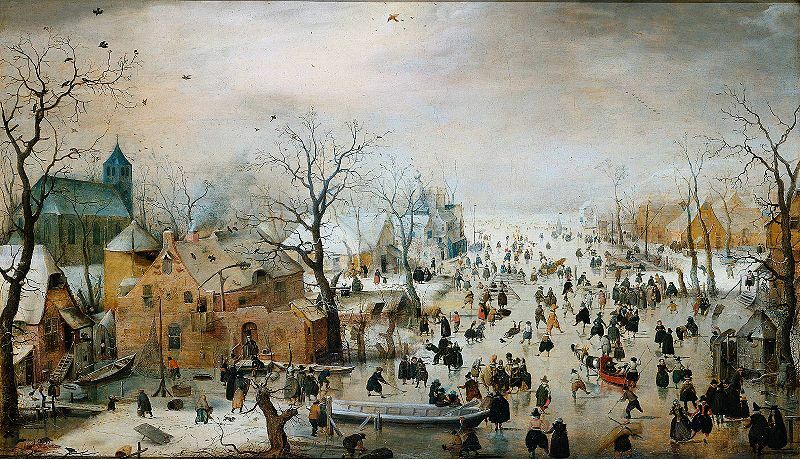 Every winter the Dutch become exited about ice-skating. When it freezes they flood grasslands to create skating-rinks, this way they can ice-skate even when it freezes a little. The last winter Olympics resulted in eight medals for the Dutch, of which seven were won in speed skating! When they’re not on ice, the means of transportation for most Dutch is the bike. 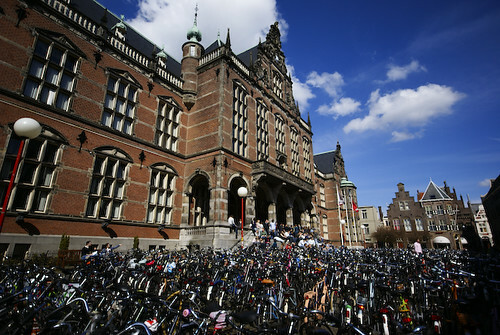 If you wish to blend in while in Groningen, purchase a bike and use it to go to classes. While cycling in other countries might be hazardous, the Dutch infrastructure was made for it. Everywhere you will find bicycle lanes next to the road and cyclists even have their own traffic lights! Traditional Dutch icons like tulips and windmills are renowned throughout the world. Windmills have been in use for almost a thousand years. The modern variety of windmills are used for electricity only, the coastal winds of the Netherlands suit them very well. Mills driven by water have also played an important role in the history of the country; they have been used to pump all that water out of our precious lands. The tulip is an icon of later date, originating in Turkey it was introduced in the 16th century. Quickly it became a fashion and luxury flower creating the worlds first ever economic bubble. In 1637 someone paid 6000 guilders (the price of a whole house) for a single flower! So, if you want to take the risk of seeing tulips and windmills, experience walking beneath sea level while keeping your feet dry, ride a bike to class and become a fan of speed-skating, then you should definitely come to the Netherlands.